Andrei Lankov writes about North Korea in three languages: Russian, Korean and English. He is currently Associate Professor at Kookmin University in Seoul, from where he talked to FiveBooks about life in the world’s most secretive country, North Korean society and his views on North Korean history. Q. For most of us North Korea is a tragic enigma. We see little more than the occasional glimpse of Kim Jong Il and those endless military parades. What has your experience been? A. I lived in North Korea for a year from 1984 to 1985. I went there from a relatively mild dictatorship which then existed in the Soviet Union. Of course, the USSR was an authoritarian state, no free elections, a lot of censorship and the like, but in terms of personal freedom it was a relatively free place. At this point in the Soviet Union, North Korea was seen as the embodiment of dictatorship, so I had very negative assumptions when I went there. I sort of expected to see robot-like people, goose-stepping on the streets, soldiers with automatic rifles standing at every corner. This was not the case. It appeared to be a perfectly normal country. I remember how surprised I was, in my first few days, that it did not look that terrible. Eventually I came to realise that it was indeed a very bad, very brutal dictatorship, but most people had a normal life nonetheless. Were you able to draw any conclusions about life under the regime at this point? I saw something important. First, when people live under a very oppressive regime they don’t usually think much about politics unless they are unlucky enough to be in a concentration camp, where they still think largely about getting food. Even if our lives are determined by politics, I don’t believe that we think of politics most of the time. People manage to lead normal lives in all kinds of societies, including North Korea. Q. You were in Pyongyang as an exchange student from Leningrad University. Did you come to Korea as a linguist? A. No, always as an historian. In North Korea I began to feel interested, almost immediately, as to how the society developed. Why it reached such a grotesque level of social control and how in the past, for it is now very different, did people manage to live in an environment where the authorities never lost sight of them? It was not visible at once, but as I made such contacts and began to look around it became quite obvious. 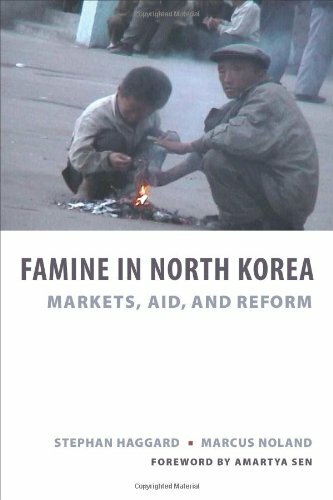 I began to study North Korea in the mid 80’s and I am still engaged in this study to this day. Do you think there has been a big change since your first experiences in the mid 80’s? Huge. It is a completely different country nowadays. This is often under-appreciated. North Korean authorities are doing their best to keep the façade of a non-changing country. When Kim Jong Il became the new leader of the country he said: “don’t expect any change from me.” Change has happened nonetheless, whether the government has wanted it or not. The changes have been very profound and remarkable. Unlike China, it happened against the government’s wishes. Up to the present day, the state has sought to put the genie back in the bottle. They want a return to the situation that existed in the 70’s and 80’s – to a perfect Stalinist state. At same time they are also trying to hide these changes, especially from outside visitors. When you arrive at Pyongyang it looks completely unchanged. My first visit was in 1984, my most recent in 2005. Externally, in these 20 years, it has not changed. The city looks the same but society is now completely different. 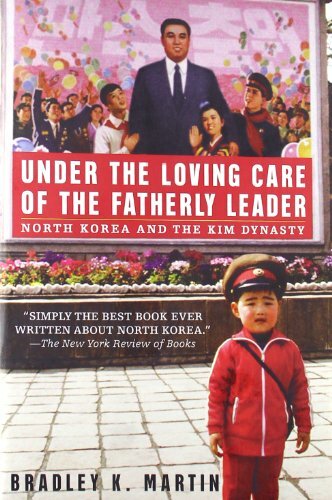 Under Kim Il Song’s rule until the early 1990’s, North Korea was a perfect Stalinist state. It was a strange mixture of Confucian traditionalism, nationalism and Stalinism. Economically it was very Stalinist, based on total state property; even small private economic activity was discouraged or banned. In the 1990’s the old economy collapsed. It had been inefficient and only survived so long as the Soviet Union and China were willing to provide North Korea with aid. When the aid flow abruptly ended the result was economic disaster. The economy collapsed, with the partial exception of the military sector. In order to survive, the populace had no choice but to rediscover capitalism. It was market economy from below. Until this point people lived on government rations, there was almost no free trade, nearly total rationing of everything. This system was introduced in the late 1950’s and became all encompassing in the 1960’s. Change occurred largely because the government was no longer able to provide rations. Since the early 1990s people were forced to find ways to generate other, independent, means of income. Booming markets began to grow, there was smuggling, farmers began to work on their private plots, low-level officials, sometimes out of compassion but more frequently in search of bribes, began to turn a blind eye on all of this “bad” activity. To all intents and purposes, North Korea is no longer a perfect Stalinist economy. It is more like a country in central Africa, but with a bad and cold climate. Q. Is it important to delve into the general history of Korea, before the 20th century, to understand what occurred later? A. The historical origin of this North Korean system was determined by a few important internal and external factors. Firstly, of course, there was the impact of the Soviet Stalinist Communism. The Communism North Koreans came to know in the 1930s and 1940s was essentially Stalinist. Then there was the very significant influence of Mao’s China. There was also the powerful legacy of nationalism, which in many ways developed in the image of Japanese nationalism. Japan was, after all, the first country in East Asia to develop the modern Nationalist outlook. During the colonial period this nationalism was much enforced on Koreans. We’re talking about the Meiji system. Yes. I would say that Korean nationalism, if you look carefully, has a stamp: “made in Japan during the reign of Emperor Meiji”. In many cases the Japanese national symbols were replaced with Korean national symbols, emphasis on the Japanese nation and its pure blood was replaced with emphasis on the Korean nation and its pure blood. The structure of the world-view was very similar. 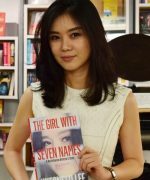 Is it a controversial position to make this connection between Japanese state nationalism and Korean? Especially, given that so much of modern Korean history has been in reaction to Japan. It is not really controversial because there are Korean historians who are doing this comparison right now. Essentially we can say that the Japanese brought modernity to Korea; basically most of the modern institutions were established in Korea by the Japanese. These institutions were more or less carbon copies of Japanese institutions, it could not be otherwise. In the 1930’s there was a programme of deliberate nationalist propaganda in Korea, and from the late 30’s there was a form of ethnocide, a deliberate attempt at enforced assimilation to destroy Korean culture and identity, to merge the Koreans into the Japanese. There was this tidal wave of Japanese nationalist propaganda beginning in the late 1930’s. Just to look a bit at the situation today, are there many dissident groups outside of North Korea? Q. What about the North Korean intelligentsia? A. Most of the North Korean intelligentsia is located in Pyongyang and a few other cities in the south of the country. It is almost impossible for them to defect. Almost the only way to defect is through the border with China. Then aspiring defectors must spend time in China waiting to find a way to be smuggled into South Korea. If you are a university professor in Pyongyang, even if you are very unhappy about the “dear leader” and his regime, and you want to get out it is very difficult and risky. First of all you have to reach the border. This is no small feat because theoretically North Koreans are not allowed to leave their city or county without a special permit from the police. Now, due to corruption, you can replace this permission with a few US dollars. Nonetheless, your typical North Korean University professor doesn’t have that money, so they wouldn’t have a permit and even if they did, if they get close to the Chinese border, how would they cross the border? If you happen to live near the border you have connections with the border guards, you know how it is guarded. But if you are just an outsider you stand out and will attract much attention. Let’s assume you are lucky enough to make it without being arrested and you cross the river if. There’s still more trouble ahead if you’re a proefessor from Pyongyang. Most of the people from the borderland area, who tend to be farmers and labourers or low-level white collar workers, have connections on the other side of the border. Most of them have relatives in China. The part of China that abuts Korea is populated by ethnic Koreans and most of them have relatives in the North. People from the northern provinces can escape to their relatives across the border, who can provide assistance, money, jobs, shelter, everything that they need. But if you are part of the urban intelligentsia you are not likely to have relatives in that area. Besides, where will you hide and what will you do in China if you have been teaching bio-chemistry for your whole life? Q. Is it possible to talk of class in North Korea? A. One of the peculiarities of North Korea used to be the existence of a clearly defined system of hereditary groups. For every North Korean his or her chances of social promotion, choice of residence, quality of job and so on was largely defined by his or her family background in this hereditary system. If your grandfather used to be a landlord under the Japanese, you would be discriminated against for the rest of your life. You wouldn’t be allowed to live in any big city and you would have serious trouble getting admitted to any prestigious college. In fact you would never be admitted at all. There used to be 51 groups. Membership to each group was defined by what the ancestors of a particular person used to do before 1945 or during the Korean war. There were privileged groups, like the descendants of the people who died during the Korean war. The most privileged group were descendants of the anti-Japanese guerrillas, members of the armed resistance to the occupation and at the same time there were groups that were reviled like the descendants of the landlords, descendants of the Catholics, of the local Shamans and the like. So the current regime is composed of beneficiaries of this ancestral system? Of course. North Korea is a neo-feudal society, a kind of neo-traditional society. In many regards it imitates the pre-modern social structures existing in Korea in the 17th and 18th centuries and these structures are quite similar to late medieval Europe. That is, estates, hereditary rights and privileges, an absolute monarchy, many elements which are similar to pre modern societies. We hear so much about the state and so little about the lives of ordinary people. I’m curious about how they cope with the modern world? Whether there is such a thing as a North Korean pop culture? Do they have leisure time? They do but of course it depends on whom we are talking about. If you are talking about the lucky few who reside in Pyongyang and some other major cities, they have a leisure culture. They have pop music. There are famous North Korean pop singers, completely unknown outside the country. They sing songs that are very reminiscent of the Soviet songs of the 1940’s and 50’s. Most of the songs contain references to the dear leader and have a healthy ideological message, love to the motherland, love for the party and the like. Nonetheless, some of them have beautiful melodies and beautiful tunes. There is a bit of light music now. It is even possible to use some kind of electronic music, which used to be a taboo until the late 1980’s, but not any more. There is a great deal of smuggling of cultural products from overseas, largely South Korean videos, which are very important, because everybody watches them and they see that South Korea is not what the North Korean official media informs them. That it’s not a poor country; it is really a very rich place; they are beginning to understand this by now. There is a great love of South Korean songs and pop music. And if you aren’t so lucky as to live in the city? If you go to the deep countryside and visit the villages it is a bit strange. When I travel to North Korea there is always a strange feeling because once you get out of Pyongyang and a few other major cities you don’t see many traces of modern civilisation. Sometimes it feels like you are back at the time when China was still ruled by the great Tang dynasty, or maybe by the Song dynasty, and you would not be surprised to see horsemen in the armour of the Genghis Khan era appearing from behind a hill. You don’t see any signs of modern technology, no phone masts, no pylons, no railways, no paved roads, nothing. Do these country people have an awareness of the outside world and the events that are going on? Not much, because the government has worked hard to keep them as isolated as humanly possible. North Korea is probably the only country where it is a crime to have a radio set with free tuning at your home. All radio sets sold officially have fixed tuning, a few buttons set to the wavelengths of state broadcasts. There is no interaction with foreigners, all non technical foreign publications are kept in special departments of the libraries which you need security clearance to access. It is very much isolated; people in the villages probably still believe that they are living in a prosperous place; that the entire world admires their leader; that Kim Jong Il is an extremely popular and mighty leader and the hope of the entire world. In the towns it is different. Very few people if anybody believes that anymore. Fifteen years ago many people even in Pyongyang would have had no idea about life outside the borders. They were told that North Korea was one of the world’s most successful and prosperous countries. They were told that South Korea is a country of 8 million unemployed people, where 25% of all younger women are prostitutes for the US soldiers. People in the villages still believe this stuff. In the towns they are beginning to understand that their country is quite poor and backward, but still, very few really understand how poor it is if compared to the neighbours. Do you think there are any parallels with Vietnam, where Ho Chi Minh made various overtures to the west but was rebuffed? He ended up more Marxist out of necessity. Does the west have any culpability in this situation? Not really because Ho Chi Minh was much more independent than Kim Il Sung. Ho Chi Minh began as a more or less independent political figure, of course with strong connections with the Comintern and Moscow, and to a certain extent China, but still quite independent. Eventually he aligned himself with the Russians, and sometimes the Chinese. It was a way to get money, and military and economic aid. With Kim Il Sung it was the other way round. Kim Il Sung began his political career as a Soviet puppet. In the early 1940s he was a junior officer in the Red Army. He was then selected by the Soviet authorities and essentially appointed to become leader of North Korea. But he gradually created his own power base and then he cut all lines of control that were used by the Soviets and Chinese to keep him in check. This was the story of a puppet becoming an independent manipulator. 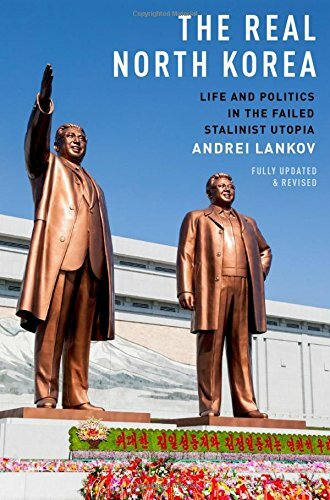 What is the North Korean state historical consciousness, or rather, is there any? It is 100% propaganda. You cannot find any other state where history has been politicised to such an extent. If you look at how they present history from the late 19th century onwards, it is such a collection of fabrications and falsifications, sometimes exceptionally shameless. 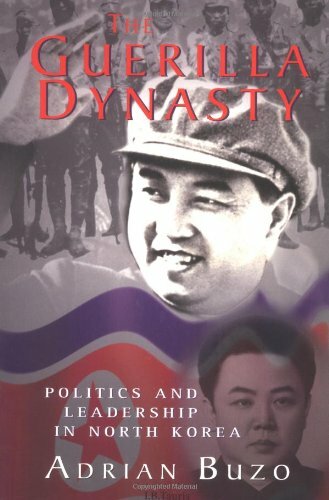 One of my favourite stories is about how the liberation of Korea in 1945 is described: according to North Korean history books, it was Kim Il Sung himself, alone, who drove the Japanese out of Korea. They do not even mention Soviet and American participation. 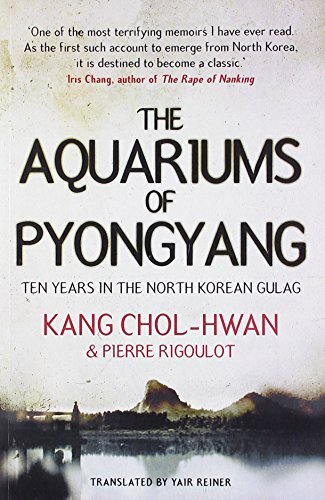 In reality, Kim Il Sung at that time was a junior Soviet officer, a battalion commander in a Soviet rear base far away from the theatre of operations. No Koreans fought in this liberation war. I’m not blaming them. It was just impossible. Real fighting was done largely by the Russians. The Americans played a secondary role, but you can’t find any references to this in North Korean textbooks. North Korea textbooks state that it was Kim Il Sung who liberated Korea, drove off the Japanese, and even played a decisive role in the Allied victory during the Second World War. What about his supporting elite? Were they also trained by the Soviets? He only trusted the people who were with him in his Soviet army unit. Wada Haruki, a famous Japanese historian of Korea, once described North Korea as a ‘guerrilla state’. In a sense this is true, until the late 80’s the country was run almost exclusively by the former guerrilla fighters from Kim Il Sung’s detachment in Manchuria in the 1930’s and in the Soviet army in the early 40’s. It was his major power base. He appointed these people everywhere. The problem was that these people were not very well educated, not necessarily very able, but they were completely loyal. The message Kim Il Sung used was: I am a Korean, a simple Korean boy with humble origins, I belong to this country, you should trust me. This was his message in the 50’s and 60’s. In the 60’s he was presiding over a very efficient propaganda and police machine that made any dissent simply impossible. This is still the case.